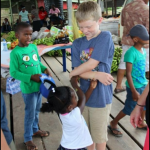 While sitting on a porch at Camp Glory in Georgetown, Guyana, we had a moment. We were appreciating the beauty of God’s sunset, drinking a cold drink (a rare commodity in Guyana) when it sank in that God’s yoke is much easier than our own. 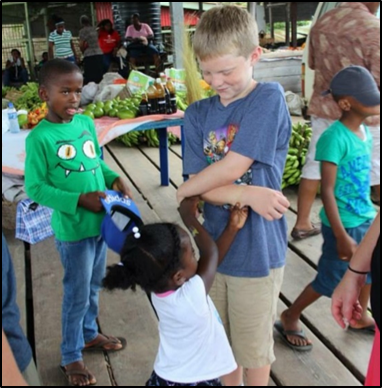 Matthew 11:28-30 was the theme verse of the Guyana Conference 2015 summer camp. The verse states, “Come to me, all who labor and are heavy laden, and I will give you rest. Take my yoke upon you, and learn from me; for I am gentle and lowly in heart, and you will find rest for your souls. For my yoke is easy, and my burden is light.” However, for the previous eight months, we had been trying to carry our own yokes, not allowing God to share His yoke with us. Last year, a small group that met in a local home, studied a book by David Platt, Radical. It challenged us to live our lives radically for the Lord. In the book, it discussed ideas of living missionally, submerging yourself in God’s word, and praying globally, amongst other ideas. 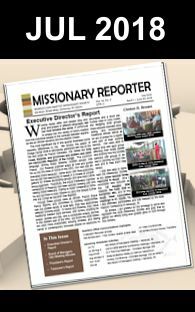 A group of us were convicted to look into options with the Missionary Society to see if there were any upcoming mission trips that we could join. 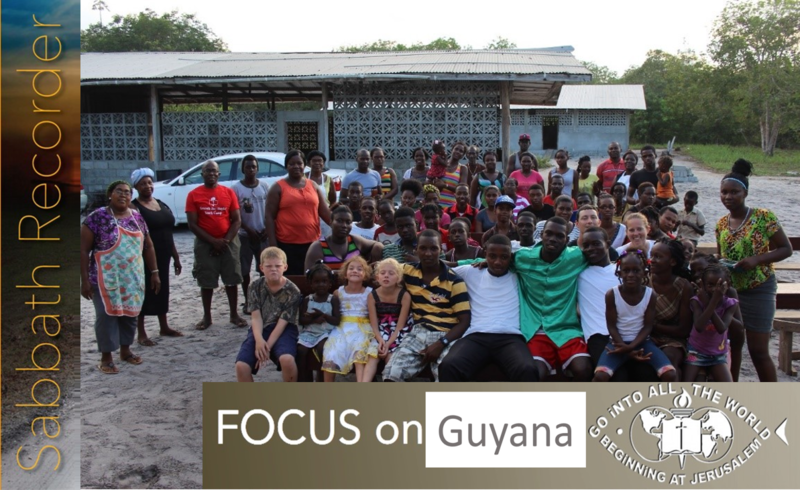 Discussions quickly centered on the idea of sending a family to Guyana to assist with a construction project. We worried about what the three children, ages 10, 8, & 7 would do while the adults were working. Immediately we had taken the yoke upon ourselves. 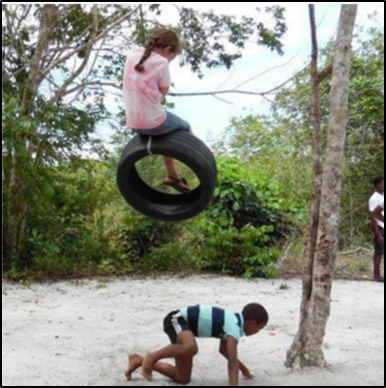 As time passed, we continued to carry the yoke and worry about the future, as we were told that we probably wouldn’t be going to Guyana, we wouldn’t be doing construction, and communication was a struggle. We continued to pray for God to ease our worries and pave the paths He wanted us to go down, but struggled to actually allow Him to do so. Finally, we found out that the trip would take place and we were going to Guyana to help run their annual Conference camp program, but we were not sure exactly what our roles would be while we were there. We began to make our plans for the week, gathering recreation supplies, art supplies, and an old VBS curriculum to take with us. When we departed for Guyana, we still had so many questions about what we would be doing, how many kids we would be working with, what age groups would be there, were we the only ones running the camp, who was meeting us, where would we be staying, would be dressed appropriately, what were the kid’s roles, would the kids get along ok with the other kids, what was the food like, was the water safe to drink, and how hot was it REALLY going to be?! Obviously, we were not ready to give up control yet, as we worried and struggled over details that God had already worked out for us. The first two days on camp were tough. We strived to find our roles, overcome our insecurities, and connect with a culture that was completely different from our own. Camp Glory reminded us in appearance a lot of our own camp here in Shiloh, Jersey Oaks Camp. But, the structure of their camp surprised us in many ways. The camp was much more of a full family experience, including infants, children, teens, young adults, parents, and grandparents all together. We quickly found out how carefully God had laid people in our path to embrace us and help us blend into their close-knit community of SDBs. One woman, Sister Eleanora (Washington, D.C. SDB Church) became an invaluable resource to us as we became accustomed to life at camp. 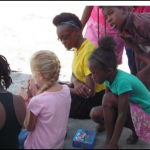 She helped make sure we had what we needed, helped us translate the Guyanese English, taught us about the Guyanese time table, and helped us learn about being missionaries through constantly praying for and with us. Pastor Sherlock Cesar (Uitvlugt SDB Church) was the camp director, and a part of our welcoming committee. He spent the first couple of days getting to know us, helping us find our place within the camp, and leading us spiritually in a way that we had not even realized we needed at the time. As the trip progressed, we felt like a part of his family. As the week started to fly by, we began to find ways to connect with the people at the camp. The girls, Marianna and Reyna, brought out their Rainbow Loom kits and were immediately surrounded by new friends wanting to make bracelets. Frank and Frank Jr. learned to play Crickit and began to teach the kids American sports, like kickball and football. They embraced these new experiences enthusiastically. Maura connected with the little kids at camp, ages 4-9, through games, songs, bible study, and crafts. 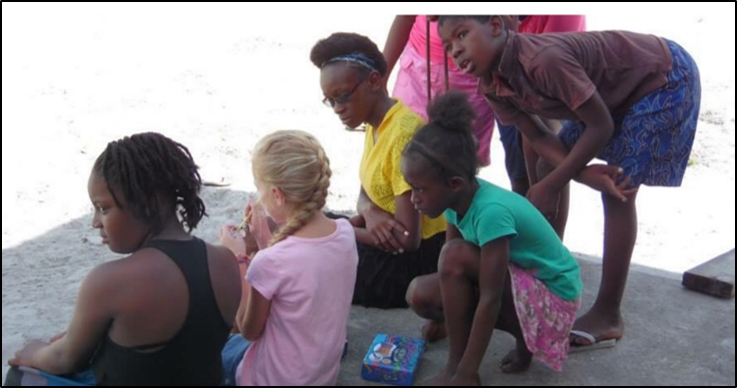 Carla spent time conducting and participating in a women’s bible study, specifically studying, praying, and reading the Bible with the cooks and women leaders of the camp. As we submitted ourselves to God’s yoke, we began to experience the richness of His purpose for us on this trip. We let go of the anxieties that we had yoked ourselves to. 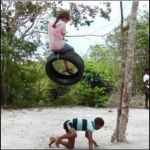 We changed our preconceived notions of what we thought a missions trip should be. We released the control we thought we needed to have. We began to live in God’s moment. We realized that this trip was not just about us serving others, but that God had plans for US to learn and grow too. By stepping out of our comfort zone and placing ourselves in a position that forced us to rely on God, we have experienced God in a way we never would have if we had not gone on this trip. The relationships that we formed have encouraged us to be open to future endeavors that may take us outside of our Shiloh community. We hope to encourage anyone considering how they can serve God, by taking up His yoke, to look to family mission trips.